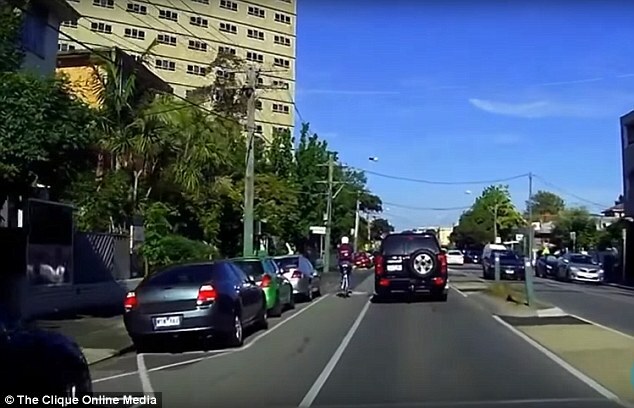 The moment a four-wheel-drive motorist side-swipes a cyclist in the bike lane and sends him flying into the footpath has been captured on dashcam. In what is seemingly a shocking case of road rage, the enraged driver then jumps out of his Nissan Patrol 4WD and yells at the visibly shaken cyclist before throwing his bike into the bushes. After his tirade against the cyclist, he jumps back into his car and continues his journey. 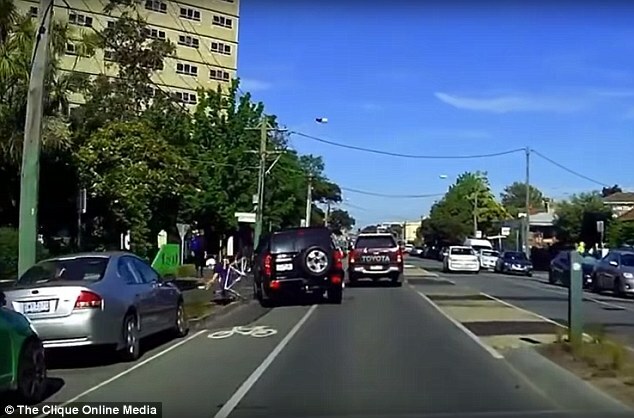 The footage of the apparent road rage attack has been shared online by Australian Cycle Alliance, which claims the driver was charged with reckless driving causing injury and fined $1000. 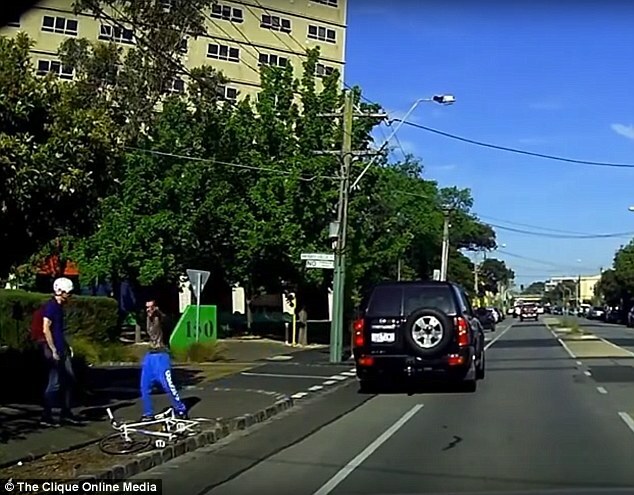 The footage, which appears to have been filmed in Victoria, comes after a spate of road rage incidents targeting cyclists. Cyclists were urged earlier in the year to fit cameras to their bikes to record any incidents of dangerous driving. The New South Wales government introduced new safe passing laws in an effort to reduce accidents involving cyclists and drivers. A car must remain at least a metre away from any bikes on the road, or risk a $400 fine and four demerit points. While lobbyists argue the laws have had little effect to deter drivers, at least 65 people have been fined in New South Wales since they were implemented. While reported incidents far exceed this number, it is often hard to prove any wrongdoing without footage of the incident. Apple may be launching its new iPads TODAY!